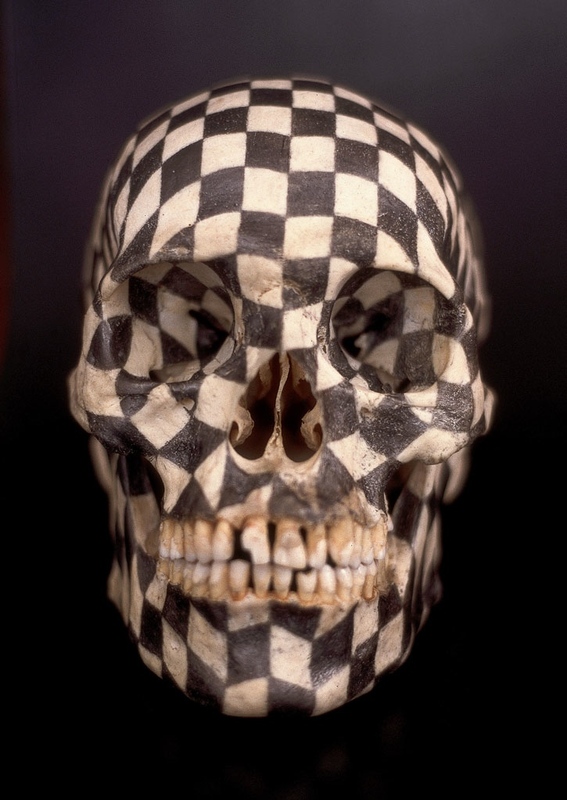 The work features a checkerboard pattern laboriously drawn onto the skull in graphite by Orozco while recovering from serious illness. There is undoubtedly something therapeutic about a task as absorbing as this but the skull brings us back to ideas of mortality rather than convalescence. 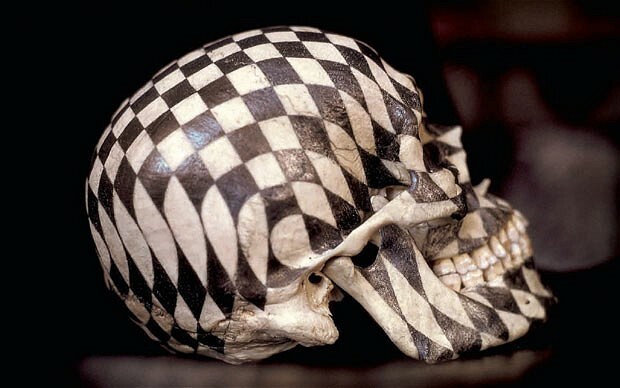 This entry was posted in Drawing, Sculpture and tagged art, Black Kites, checkerboard, drawing, Gabriel Orozco, human skull, pattern, sculpture by Ann Jones. Bookmark the permalink.